Please notice: In America, it is not usual to choose a table themselves. 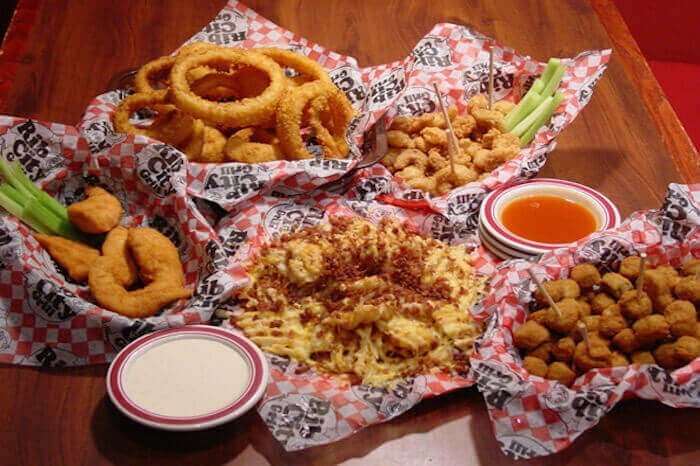 This will be assigned to you, except in fast food chains. 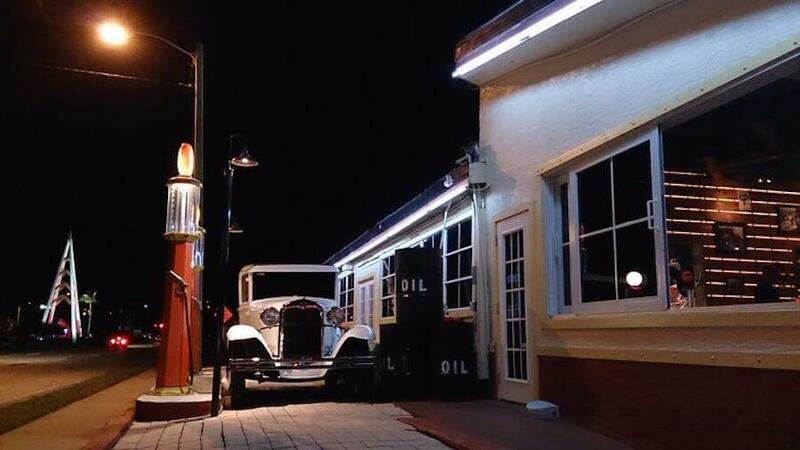 Ford’s Garage restaurant opened its new location in Cape Coral in the summer of 2013, and we recently spent an enjoyable evening there. 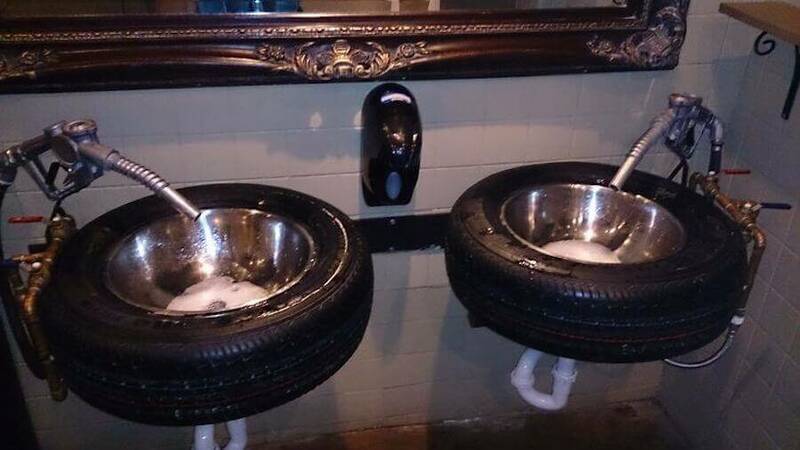 You may have heard the saying a burger is “just” a burger, but you’ll find that’s definitely not the case at Ford’s Garage. Your taste buds will be dancing with delight when you order one of their famous (and huge) burgers: Choose from Black Angus & American Kobe, turkey, chicken, tuna, seafood or vegetarian, coupled with all natural aged cheeses and gourmet toppings. 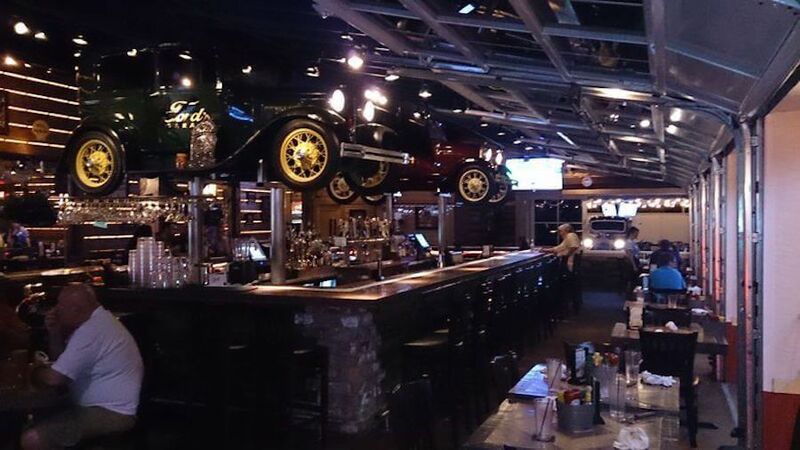 Ford’s Garage also serves a variety of entrees including steaks, pasta, and ribs. Their lighter fare features crispy salads (again: huge! 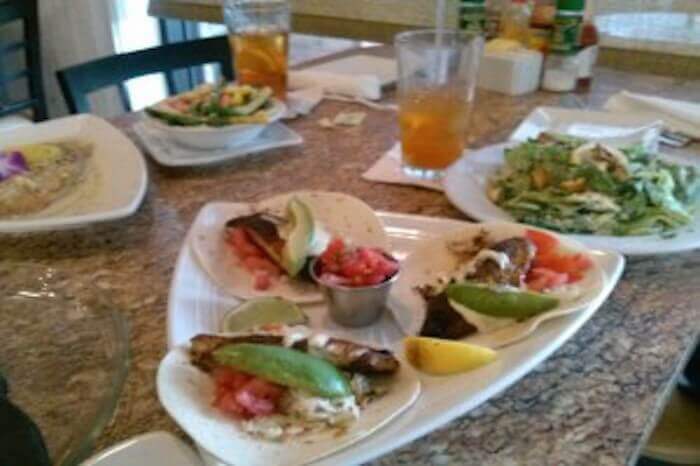 ), grilled chicken, turkey and fresh fish. 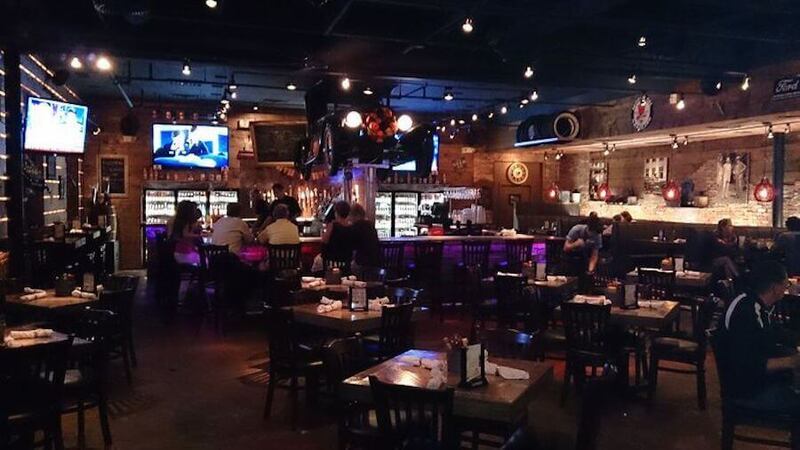 To quench your thirst, Ford’s Garage offers over 100 different types of bottled craft beers and over 20 drafts with a heavy influence of American craft beers from all around the country. Whoever likes spare ribs, has to go there. Here you get all possible variations of them. 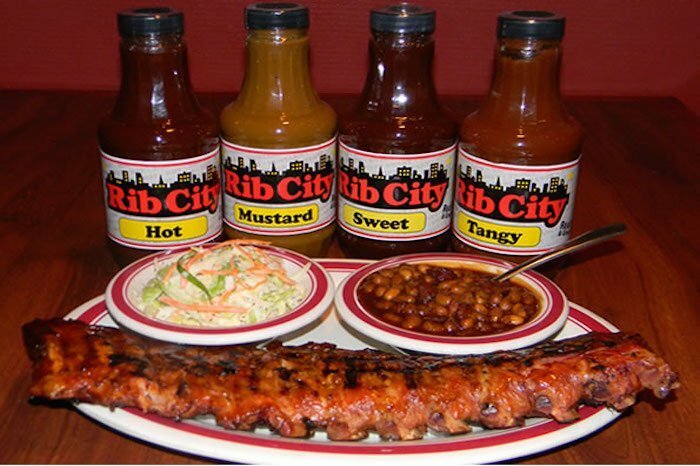 There are 2 Rib City Grills in Cape Coral. Further informations on their homepage. 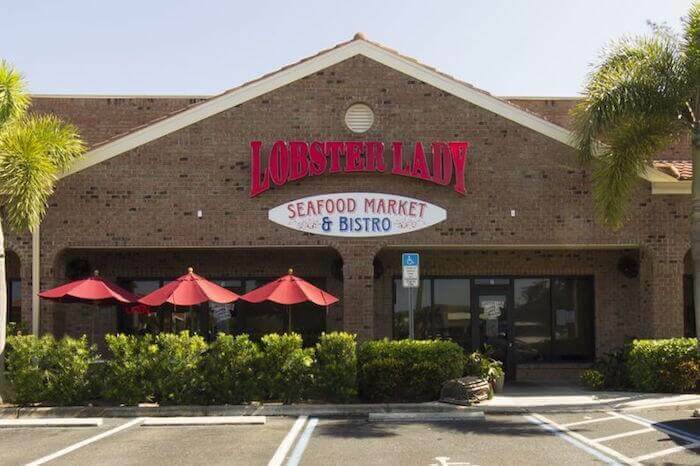 Based on the recommendation of several friends and the fact that there are frequently lines out the door at dinnertime – always a sign that the food is decent – we chose the “Lobster Lady” on Cape Coral Pkwy / corner of Chiquita Blvd as this month’s destination. 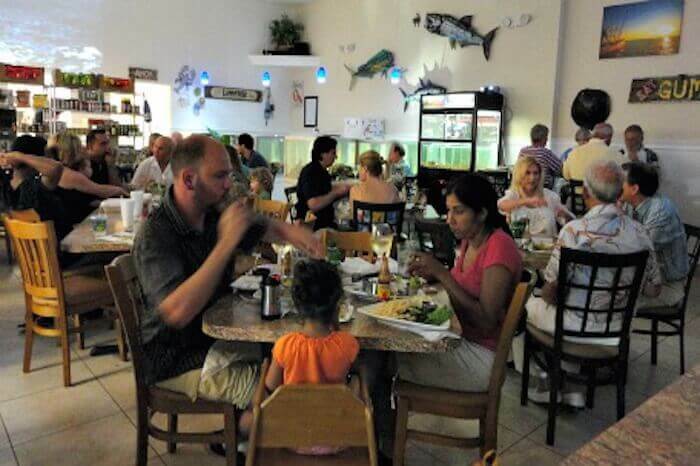 The restaurant includes a fish market, which creates a somewhat mixed interior, with a new, large wooden bar and fish tanks on one side and a display case full of seafood on the other, and tables arranged in between. If elegant ambience is your thing, you will probably be disappointed; if you don’t particularly care about the ambience as long as the food is good, head for the Lobster Lady. Adresse: 1520 Lafayette Street Down Town – ca. 5 miles – 10 minutes drive from our villa.